Pro Tools | Pro Tools Quick Tips - Would Sir Like A Trim? 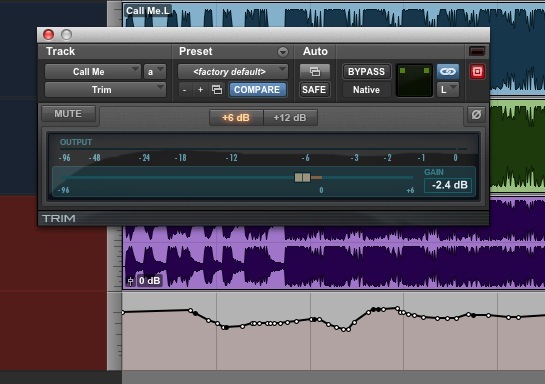 Pro Tools Quick Tips - Would Sir Like A Trim? If you’ve already worked hard to automate the volume levels of a track but need to adjust the overall gain and don’t have VCAs then add in the Trim plug-in as an insert, then you can adjust the gain relative to the automation.